Yes, we supply and repair Heynau - you have come to the right place. UK Drive Systems repair centre at Stafford hold the UK parts stock for repair and servicing Heynau mechanical speed variators. UK Drive Systems are a UK repair facility and parts stock centre for the Heynau specialist range of quality mechanical speed variators such as the 'Minidrive' and 'H Drive' series. We offer fast quotes and fast turnarounds including work at unusual times. We quote all electrical and mechanical repairs and warranty work at sensible hourly rates. All repair work carries a performance guarantee. 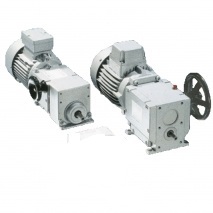 Manufactured in Germany, the Heynau drive is one of the most well known mechanical variable speed drives. The simple all steel construction of this drive and limited component parts, meets the highest requirements for quiet operation, precise speed holding, high efficiency and durability. 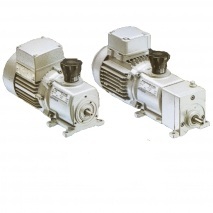 The drives uses a set of cones, which transmit power via an encapsulating steel ring. By adjusting these cones in relation to the steel ring, a speed adjustment range of 6:1 or 9:1 can be achieved ( 3:1 reduction and 1:2 or 1:3 increase). ​This speed range can be set when the machine is in use or at rest. These drives can be arranged with input and output reducers to achieve hundreds of different speed and power ratings. For lubrication, power transmission and good heat dissipation, we use a special Heynau “Long-Life” oil. This oil produce an “elasto-hydrodynamic” effect, which prevents direct metal-to-metal contact between transmission surfaces: the result is a high abrasion-resistance, which makes an oil change unnecessary. 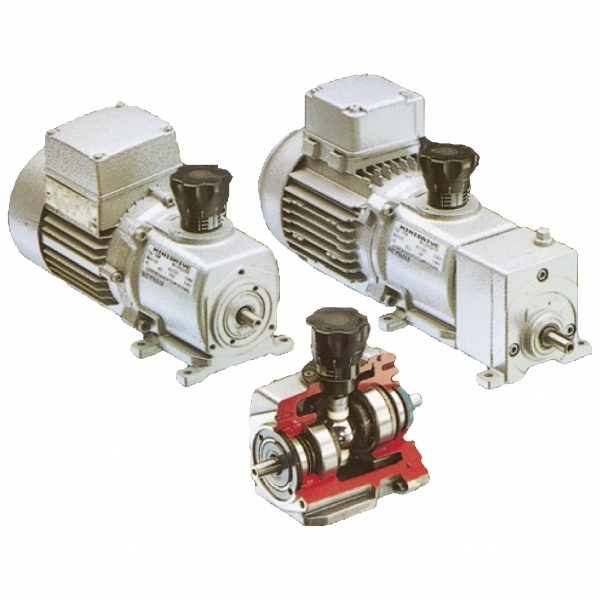 ​The Heynau drives are lubricated for life in sealed housings, making them maintenance free. Our UK repair centre is centrally based at Stafford where our trained specialist engineers repair and refurbish Heynau speed variators found on a wide range of industrial equipment throughout the UK and the rest of the world. With over 30 years experience repairing electric motors, gearmotors and controls, UK Drive Systems can provide you with expert support. Ring 07825 994946 or 01785 660759 now for a quick quote and turnaround time.